I started 2010 participating in three challenges: Aussie Author Challenge, hosted by Booklover; Canadian Author Challenge, hosted by Mrs. Q: Book Addict; Historical Fiction Challenge hosted by Alaine – Queen of Happy Endings. In October I picked up the Readers Imbibing Peril (RIP) Challenge, hosted by Stainless Steel Droppings. In addition, I have also completed my biggest 2010 Resolution, to read 5 books published in 2010. Level: Peril the Second – Read two “Mystery, Suspense, Thriller, Dark Fantasy, Gothic, Horror, or Supernatural” books/stories/poems/etc. 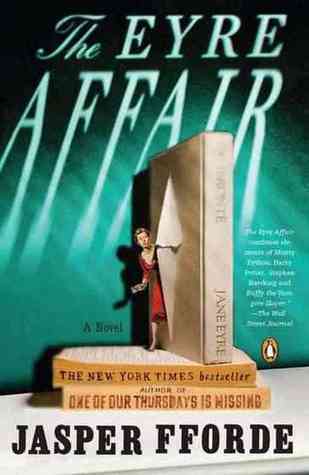 My Thoughts: I quite enjoyed this novel. 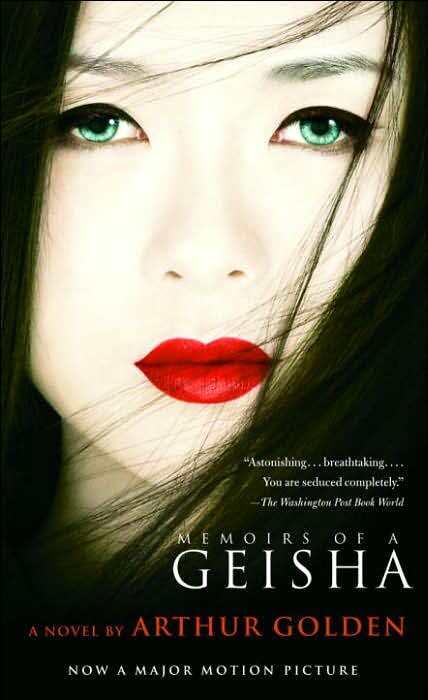 I was SOOO interested in the life of a geisha and, while this is historical fiction, I believe that Golden did do an extensive amount of research and thought a great deal into how he presented the information in a non-enclyclopedia-type way. I particularly like historical fiction that teaches me and I really felt like I’ve come away from this book with a new knowledge, however “useless” it may be in real life. While I’m certified to teach social studies, and world history in particular (that’s what I taught for my student teaching), I think I have learned a very one-sided history of Asia. At least in my experience, I’ve had a very Westernized experience with Asia–or just a purely Western curriculum, excluding Asia completely. So this book was very appealing to me. Okay. But I am a little disappointed with the character of Sayuri. Ever since she met the Chairman, she had been striving to gain his affection. This didn’t particularly bother me much. I mean, a young girl can hope for things–even if I’m a little uncertain as to why she pined away for years after a man who was at least 20 years her senior, possibly closer to 30. I thought it was a crush and that, after a while, she would grow to like/love Nobu, who was so considerate of her and held her in great esteem. I never expected her to repay Nobu’s long years of support and obvious affection–especially after what he did for her during World War II. In the end, I found Sayuri to be so selfish. She was conniving and scheming in so many ways to get Nobu to leave her alone so she could have the Chairman. I might have had different feelings if the Chairman had given the slightest hint to Sayuri that he was interested in her. But she didn’t know he returned her feelings. She was hurting Nobu when she had no signs that it would be for good. I found her to end up like Hatsumomo had been at the beginning. Sayuri even hurt Pumpkin and was completely oblivious to how she had hurt her and that Pumpkin might resent her. Aside from how Sayuri as a person turned out–I was glad when she was separated almost completely from her love in the end, even if she did it for noble purposes–I found the rest of the story really great! I would highly recommend it to anyone who is interested in Japan and/or historical fiction. I thought the part concerning World War II and the American occupation after really interesting. I wondered, “If Gion was even a little like Golden portrayed it before WWII, how would it have been after the war if the American forces (and therefore influences) had been absent? Would it have continued to keep such rich historical traditions?” It’s a great “What If?”, I think. My Thoughts on the Cover: It’s pretty simple. Sayuri’s eyes aren’t how I pictured them in the book. I thought they would be more gray/slate-colored, not quite so blue. Sayuri even says at one point that she hadn’t seen the deep ocean away from shore where it was blue and green–she had only ever seen it as slate. So I pictured the water in her soul to be that grayish color. And the cover shows her not done-up as a geisha would be, but still with white skin–so it’s a little confusing as to which girl she was supposed to be in the photo: Chiyo or Sayuri? In order to get more out of this book, I looked at a few discussion questions as I found for the novel online. 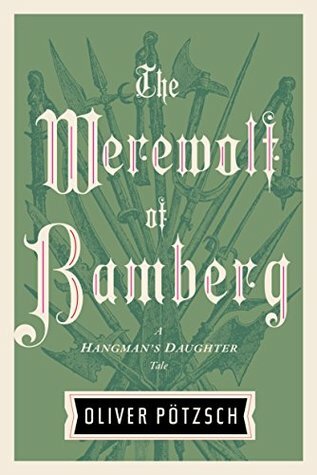 This got me thinking a little bit more about not only the writing, but the historical aspects of the book as well. In order to not clog up my blog with all the questions and answers, I’ve attached the word document containing it below. If you care to look at it, it’s there. But, like everything else on my blog, it’s really for my own personal reasons. For the Readers Imbibing Peril (RIP) Challenge in which I am participating, I read three of Edgar Allan Poe’s creepy short stories today. 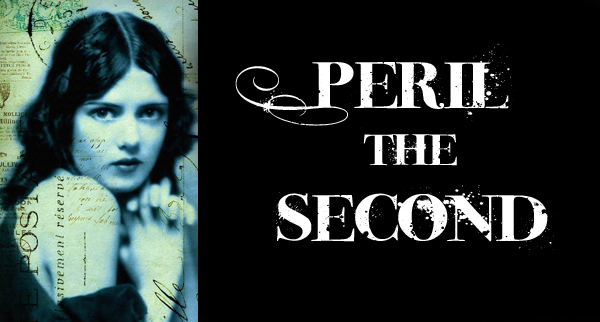 I figured that, combined with Poe’s poetry–some of which is creepy, as well–the works I read would all together count as one of the two “novels, short stories, works, etc.” required for my Peril the Second goal. I have three reviews, one for each of the short stories I read today. By the way, I read them all from PoeStories.com. Summary: Ligeia was the first wife of the narrator, an unnamed man. He loved her deeply and described much of her character to the reader. However, she became ill and feverish and soon perished. A few months after Ligeia’s death, her husband purchased an English abbey in which to live and subsequently—as he was very lonely and had taken up the hobby of opium—married again, to a “fair-haired and blue-eyed” maiden, Lady Rowena. A couple of months after this marriage, Rowena became ill with a fever and her “hallucinations” never really ceased after she recovered—she always spoke of the slightest sound, shadow, or movement. One night, she had a “fit” while the narrator was under the opium veil—he thought he saw things, such as those Rowena would fear (like shadows), but blamed the opium. The narrator believes he sees Rowena poisoned while drinking her wine to stay from fainting and, days later, Rowena does indeed die. As he sits in mourning with her body, he keeps believing he hears her stir and finds her color returned. At the end of the story, the narrator sees the spirit/body of one of his wives (but I won’t ruin it for you) rise and live. My Thoughts: A very interesting story! It wasn’t that interesting in the beginning, when Poe basically describes Ligeia’s physical character and how the narrator loves her. But when she dies and the second wife is “ill” and sees/hears things, it gets interesting. I (probably pretty obviously) think the spirit of Ligeia haunts Rowena and may even have been the cause of her death. But the narrator never forgot Ligeia, so I guess her spirit wasn’t that perceptive. Summary: An unnamed man is the narrator. From a young age, he loved animals and had many pets. When he married, his wife had the same feelings towards domestic pets as did he and they together had many pets, which included dogs, rabbits, birds, a small monkey, and a black cat. The black cat, Pluto was his name, was the narrator’s favorite—his wife, a little superstitious, was not as fond of the all black cat (saying goes they are witches in disguise). As he grew older, the narrator began to be more annoyed by the pets, the last one he got annoyed with being Pluto—he loved him more than the others. In a drunken rage, Pluto loses and eye as penitence for biting his master when he roughly handled him. This was the first in a line of treating Pluto badly—the narrator, one day, hangs him from a tree because it kept avoiding him ever since he had taken the eye. That night, the narrator’s entire house was destroyed by a fire. A stray cat arrives in the story, also missing an eye, but with a white patch on his breast—the narrator thinks nothing of it, until the he sees white patch resemble a gallows. In a rage, the narrator attempts to kill the new cat, but his wife stops him and he thus kills her instead. 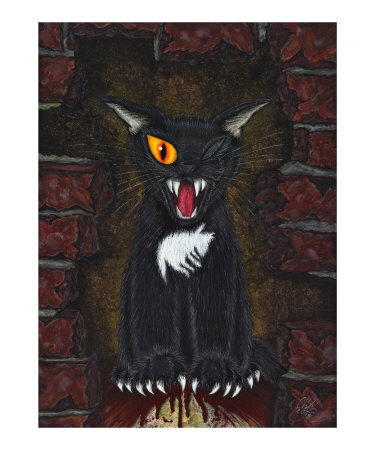 He places her corpse in the wall of the cellar and the police only find her when they hear a screeching noise coming from within the walls—it was the cat that made the noise. My Thoughts: I rather enjoyed this particular story. I think that not only could this be considered a “horror story about a cat”, as the PoeStories.com website describes it, but as a slow descent into madness. The narrator would have to be going mad to be so hot-and-cold towards the animals, in particular the cats. Not to mention the fact that he murdered his wife because she stopped him from murdering the cat—what sane person would do such a thing? So this story was fairly spooky, if just because of the way we, as readers, can see the narrators thoughts and “justifications” for killing. My Thoughts: This story was pretty entertaining and not really all that creepy/spooky/etc. I had suspected from the beginning of the narrator’s experience at the Maison de Sante two things might happen: 1) that Monsiuer Maillard was crazy (which was true) and 2) that the narrator might somehow be trapped at the Maison de Sante and be forced to “become” a lunatic patient whom no one believed when he said he wasn’t a real patient (which was wrong). But I especially liked the patients all describing themselves in the third person because they really sounded like they were sane people describing lunatics—and yet they found nothing wrong, in reality, with themselves. My RIP Challenge is now complete, but I might continue a little with the weird reading. There really isn’t a summary for this, as it’s a collection of poetry. So I’m not going to count this read towards my RIP Challenge goals. 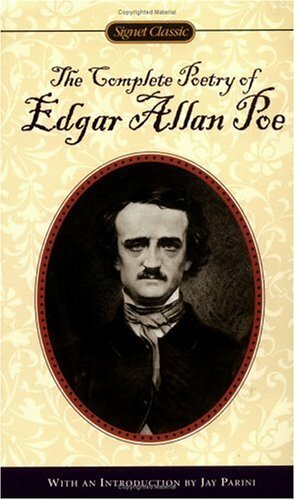 But I am going to read some of Poe’s short stories later today online, via PoeStories.com, so perhaps my Edgar Allan Poe Miscellaneous-group of stuff will count towards the challenge. My Thoughts on the Cover: Well, there really isn’t a cover to speak of. I mean, it’s just a portrait of Poe, so it’s rather boring. I quite like a different Signet Classic cover because it has a raven silhouette on it. But even then, it’s still pretty unimaginative. Since it’s rather short, I also figured I’d just copy the text for The Haunted Palace below, as it was my favorite new-to-me poem. The rule of the realm was seen. Four seekers have come to the ugly, abandoned old mansion: Dr. Montague, an occult scholar looking for solid evidence of the psychic phenomenon called haunting; Theodora, his lovely and lighthearted assistant (*Note: this is untrue, she is invited, just as the other two, and has never known Dr. Montague); Eleanor, a lonely, homeless girl (*Note: she is in fact 32, not a girl, and is not exactly homeless) acquainted with poltergeists; and Luke, the adventurous (*Note: cowardly) future heir of Hill House. At first, their stay seems destined to be merely a spooky encounter with inexplicable noises and self-closing doors (*Note: they know who closes the doors, and it is a real person), but Hill House is gathering its powers and will soon choose one of them to make its own…. My Thoughts: Well, as you may have noticed, I made a few notes to the book’s summary, which is on the back cover. It is perhaps the fact that the summary is not completely true to the story that makes me not love this book. I have read Jackson’s work before–We Have Always Lived in the Castle quite recently–and I have to say that I love her writing. Her stories just flow in a way that I love, even if I didn’t enjoy the story as much as I had hoped, in this case. I thought this book would have more creepiness to it, which is why I chose it to read for the RIP Challenge. But it just wasn’t all that creepy. I guess I had anticipated more ghostly creepiness than the creepiness associated with a person losing their mind, and being in that mind. Doesn’t that just sort of sound creepy?! But, I don’t think the story lived up to this description of Hill House. Hill House more or less made one of the main characters go insane, but not in such a direct way that would be alluded to from this quote. Hill House doesn’t really seem alive in the book, at least not to me–but it seems to be described as being alive. I don’t know. I mean, when I read WHALitC, I hadn’t exactly realized how creepy the story was until after I had finished it and discussed it with other people on the RBC threads; especially after someone brought up a certain idea about the real existence of one of the main characters. So maybe I just need to look back into this story a little more. Has anyone else read it? What did you think? My Thoughts on the Cover: The cover doesn’t actually look all that scary to me. The greenish glow to the sky is probably the most unsettling. But I imagined the house to be surrounded by more woods and to even be set into larger hills. The house has some weird angles, as the book described, but it doesn’t look too bad. Perhaps if it was full night- or daylight rather than dusk it would look scarier–but in dusk, it seems to be in its element. A few posts ago, I mentioned that I am technically done with all of the challenges I signed up for in the beginning of the year. I have four more books I need to read in order to complete these challenges in reality, which is easily done as I’m reading one that fits at the moment. So…I have found another challenge. It actually runs from September 1st to October 31st, so I’m about a month late 😕 But the commitment level I’ve signed up for is only two books, so I feel it is doable. I have to say that I first heard about the challenge through Eva’s blog, A Striped Armchair. But the host of the RIP Challenge is Carl at Stainless Steel Droppings. Or at least I wish it was, rather than a warm, sunshiny day. Despite the weather refusing to cooperate with my gothic mood, the calendar does not lie, ladies and gentlemen. It is indeed that time of year where two short months are dedicated to reveling in all things creepy, eerie, mysterious, gothic, horrifying, suspenseful and strange. It is time to celebrate things that go bump in the night; that favorite detective that always gets his man, or woman, in the end; that delicious chill of a creak on the stairs, of the rogue waiting in the dark, of the full moon and the flit of bats wings. Perhaps that was also the beginning of my passion for I what I lump under a broad personal definition of gothic literature: dark nights; decaying, haunted castles; menacing forests; pervasive gloom; ancient prophecies; damsels in distress (or at least at the wrong place in the wrong time); blood-curdling screams…stories with atmosphere so thick you could cut it with a knife. 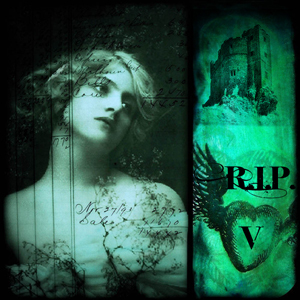 It was a desire to celebrate and share that love of the elements of gothic fiction that inspired me to create the first R.I.P. Challenge, five years ago. In essence, the challenge is about reading gothic literature in all it’s forms, but especially in these categories: Mystery, Suspense, Thriller, Dark Fantasy, Gothic, Horror, and Supernatural. As I like to get into the spooky spirit of the time surrounding Halloween, I think this will broaden my reading and also give me the chance to read, not watch spooky stories. Technically, I have fulfilled all requirements for the challenges/resolutions I’m doing this year 😀 Those are the Aussie Author Challenge, Canadian Author Challenge, and Historical Fiction Challenge and also reading 5 books published in 2010. In reality, I don’t think I can say I fulfilled the challenges and be happy with it 😕 This is because I have used multiple books in more than one challenge/resolution.